Who wouldn’t want Joy? People try to find Joy in all kinds of ways. But if you want the kind of Joy that gives you strength, you can find it in only one place. According to Neh. 8, the Joy of the Lord comes from hearing the Word of the Lord. Notice who came to this assembly to hear God’s word: both men and women—all who were able to understand. In other words, anyone who was old enough to get the meaning of the words, they ALL came. There’s something wonderful that happens when we all congregate to hear God’s word together. I love to see the older men and women who have overcome their age-related difficulties and are there to worship. It is exciting when the children come in, woken up from their sleep, coming to learn of God. Read Nehemiah 8:3. What do you think would happen if we changed the sign out front to say, church services 6 am until 12 noon? Would YOU be here? Well, all these men and women stood and listened to God’s Word from Day break until Noon. 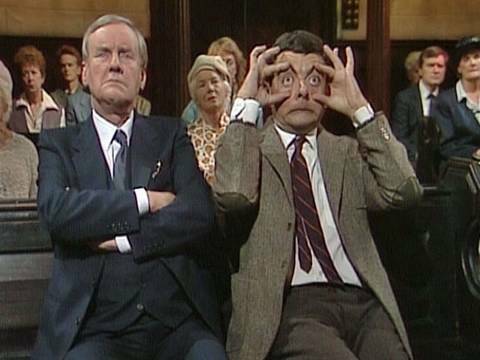 It reminds me of a time Mr. Bean went to worship. He had trouble concentrating, he had difficulty staying awake, he sang out of tune, but he was there. I not only need to read God’s Word, but I need to study it also. Ezra was reading the books of the Law in Hebrew, but for many of the people, Hebrew was their second language. Some of them spoke Aramaic…which was the language spoken on the street. Besides, most of them had not ever heard the words of the Book of the Law in any language. So they broke up into small groups and different priests and Levites helped to interpret and explain what was being read. We never outgrow the need to STUDY God’s Word. But if you want the Joy of the Lord, then His Word needs to go deeper than your intellect. We need to let God’s Word sink into our hearts. They couldn’t hear God’s Law without realizing how many times they had broken His Law. And when they understood that they had broken His Law, it broke their hearts! They responded exactly the way we should respond when confronted with our own sins. They broke down and cried. Although they responded as we often do to the reading of the Word, Nehemiah expected them to also experience Joy. In other words, Hey, Cheer Up! This is a day for Joy. Let’s have a party. And notice, the first thing Nehemiah described was the refreshments. Enjoy choice food and sweet drinks…I like the sound of that! To have the Joy of the Lord, we must obey God’s Word. To understand what happened next, you need a little background. This is how it was in the time for Fall Festivals. In the Seventh month (Tishri) from the first day to the 22 day of the month they celebrated 3 feasts: The Feast of Trumpets, The Day of Atonement, and the Feast of Tabernacles. When Ezra finished reading, it was time to celebrate that last feast. During the Feast of Booths, God had commanded the people to build temporary shelters and live in them during the feast days. It was kind of like a National Camp-out. It wasn’t so comfortable in the booths, but it was a good reminder of the 40 years they and lived out in the wilderness before they entered the Promised Land. To have Joy we must obey, but do we really obey? We know God wants us to be pure, but we figure it won’t matter that much if we watch that movie or visit that website. Somehow, we think that kind of entertainment will give us Joy. We know God wants us to give generously, but if we cut back on giving just a little, we could afford that new car…or house…or vacation. And somehow, we think that will give us Joy. We know God said to love our enemies and pray for those who do us wrong, but we figure He couldn’t mean our boss, or that neighbor, or whoever it is that is giving us trouble. 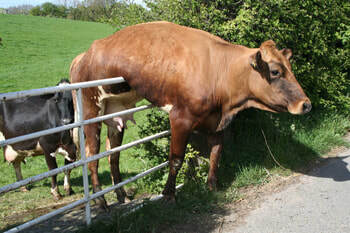 It’s time to leap down off the fence you are straddling and take a faith step into the land of obedience. I challenge you to try it this week. Ask God to show you an area where you are only kinda-sorta obeying. Then try doing exactly what God says in exactly the way He says.